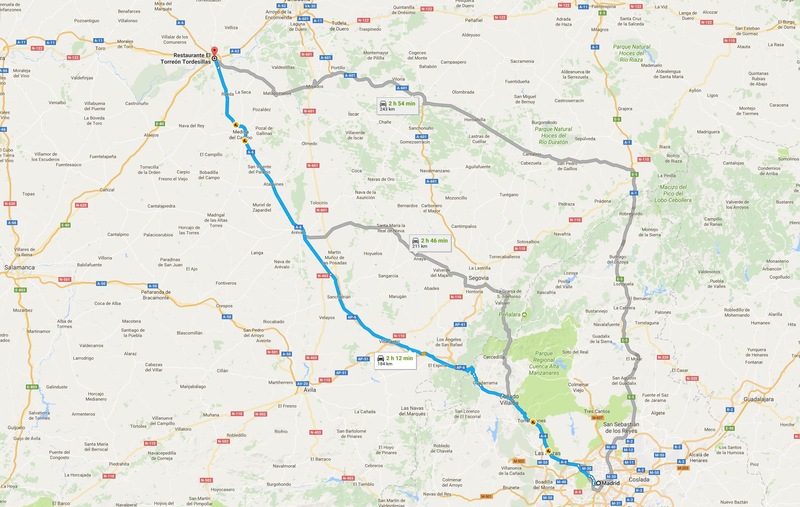 Take exit 179 towards Tordesillas (South) Travel 280 meters. Continue on Ctra. Madrid-Coruña / N-VIa towards Av. Burgos-Portugal in Tordesillas. 4 minutes (3.0 kilometers) and you will arrive at Av. Burgos-Portugal. 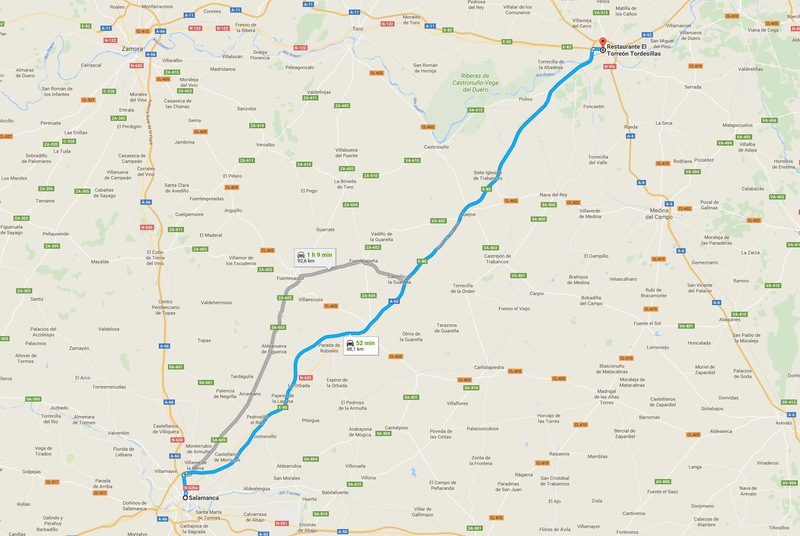 Take exit 151 towards A-6, direction Tordesillas / Medina del Campo / Madrid 750 meters. Follow N-122 to Av. Burgos-Portugal in Tordesillas 4 minutes (1.9 kilometers). Continue on Av. Valladolid / N-122. Continue to N-122 1.6 kilometers. At the roundabout, take the 2nd exit towards Av. De Zamora / N-122 160 meters. Turn left towards Calle Valdehuertos 120 meters. Turn left towards Av. Burgos-Portugal. Follow E-80 / A-62 towards N-122 / E-82. Take exit 156 from E-80 / A-62. 42 minutes (82.9 kilometers). Continue on N-122. Drive to Av. Burgos-Portugal in Tordesillas. 3 minutes (1.5 kilometers). Merge onto N-122 / E-82 88 minutes. At the roundabout, take the 2nd exit in the direction of N-122 1.1 kilometers. At the roundabout, take the 2nd exit towards Ctra. Madrid-Coruña / Av. Portugal / N-VIa 180 meters. At the roundabout, take the fourth exit towards Av. Burgos-Portugal.